TGIF, right? 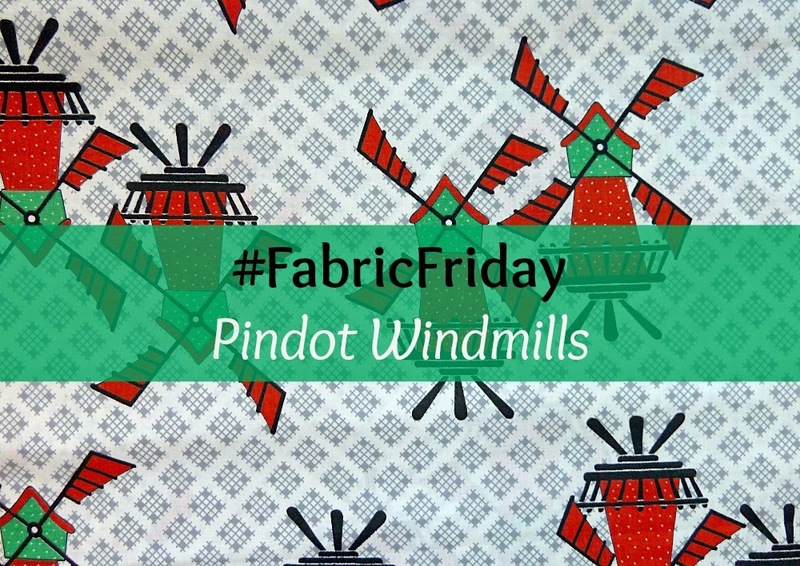 Not just because the weekend is fast approaching of course, but because it's #FabricFriday! Hehe! Thank you for your enthusiasm when I 'launched' this regular feature last week, especially all your fab pattern suggestions...we're totally on the same wavelength! Today, I'm sharing another vintage corker that's been in my stash for around 3.5 years. The pindot windmills and vibrant shades of red and green make me so happy! I really, really love this fabric, but the print is pretty big and I usually shy away from lighter coloured backgrounds. I'm at a bit of a loss as to what to make with this medium-weight cotton, but I think it should be a dress as I have 3.4m and it's 90cm wide. Perhaps a simple dress that won't break up the print? I'd love to hear your ideas! Love the fabric! Maybe it's because i have maxi skirts on the brain but I'd use it to make a maxi skirt! This is such a fun print so I think fun skirt is a good idea. It might have to have very wide panels and flare out to make the most of the print. I thought of a circle skirt but it would send the print off at odd angles. Thanks Renata, I like your thinking! Exactly on my wavelength...a Flora could be perfect actually! this kind of post has captured my imagination again :) here are my suggestions! A lot of darts would be a mess with the pindots/grids. The motif itself is pretty simple and there's just one version (two if you count upside down as the second). Gathered skirt. MEdium cotton won't give you any real drape. Button placket. Nothing with diagonals - but that could be really cool in a truly one of a kind way. It's so off it's perfect. Haha, I love the thought you put into this...thank you so much!